When Anna is gifted a copy of The Secret Garden, it inspires her to follow her dreamsmaybe she can plant ivy and purple crocuses and the birds will come. 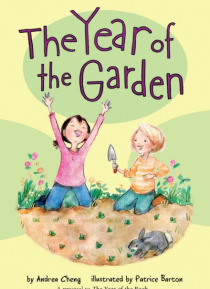 Or maybe what grows from her dream of a garden is even better: friendship. And friendship, like a garden, often has a mind of its own. In this prequel to TheYear of the Book, join Anna in a year of discovery, new beginnings, friendships, and gr… owth.